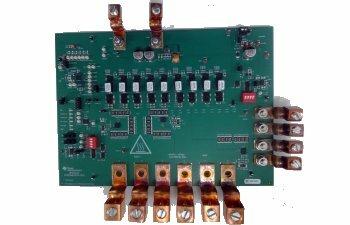 This reference design uses the TPS53681 multiphase controller and CSD95490Q5MC smart power stages to implement a high-performance design suitable for powering the 0.85-V: 200-A: VCCINT rail of a Xilinx™ Ultrascale+™ FPGA. The secondary output of the controller can then be used to power an auxilliary rail of the FPGA. The smart power stages and integrated PMBus™ allow for easy output voltage setting and telemetry of key design parameters.The design enables configuration: VID adjustment: and compensation adjustment of the power supply: while providing monitoring of input and output voltage: current: power: and temperature. TI's Fusion Digital Power™ Designer is used for programming: monitoring: validation: and characterization of the system.